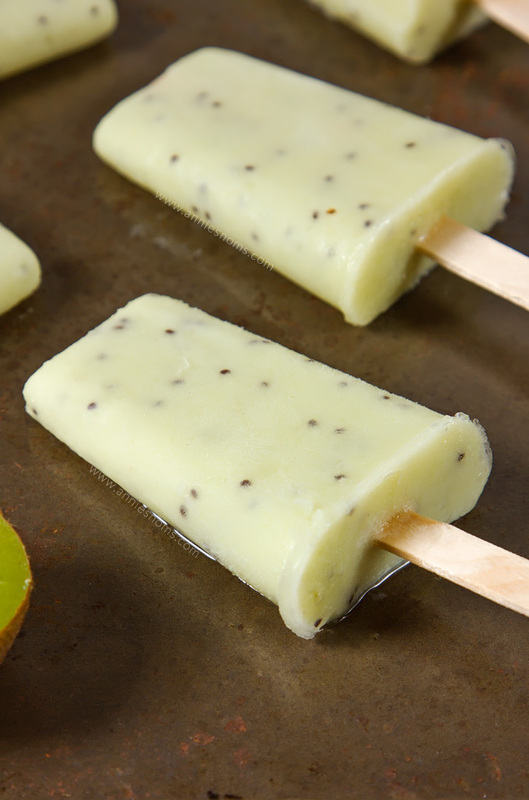 Kiwi fruit, yoghurt and agave nectar are blended together to make these refreshing, sweet, yet tangy Kiwi Yoghurt Popsicles. The perfect cool-me-down on a baking hot afternoon! Good Morning/Afternoon/Evening wherever you are! 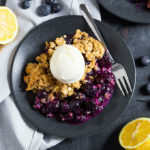 We are cracking right on with the no-bake desserts here! 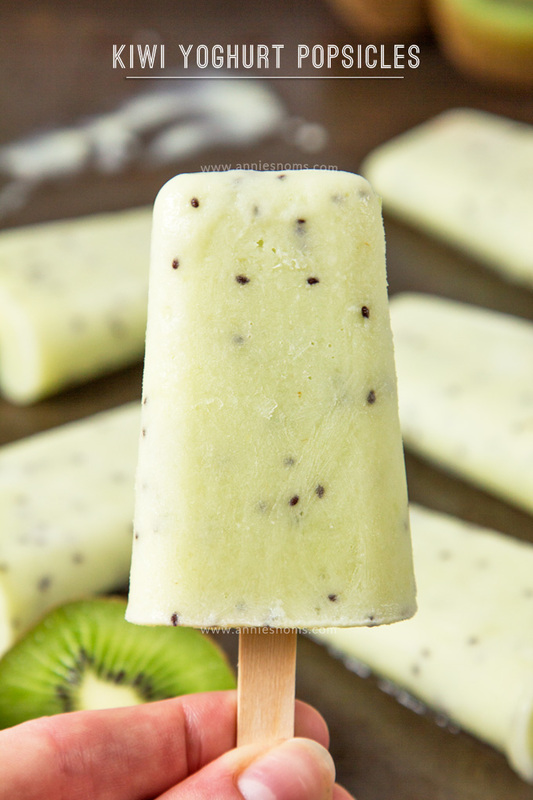 It’s been slightly cooler these past few days, which is much more comfortable, but I’ve still been cooling off with these Kiwi Yoghurt Popsicles. 4 ingredients, under 10 minutes to make and then you just have to wait for them to freeze before having a healthy, pretty (I’m all over that pale green colour…) and tasty snack. I had one immediately after 45 minutes of HIIT the other day and it definitely helped with the cooling process! 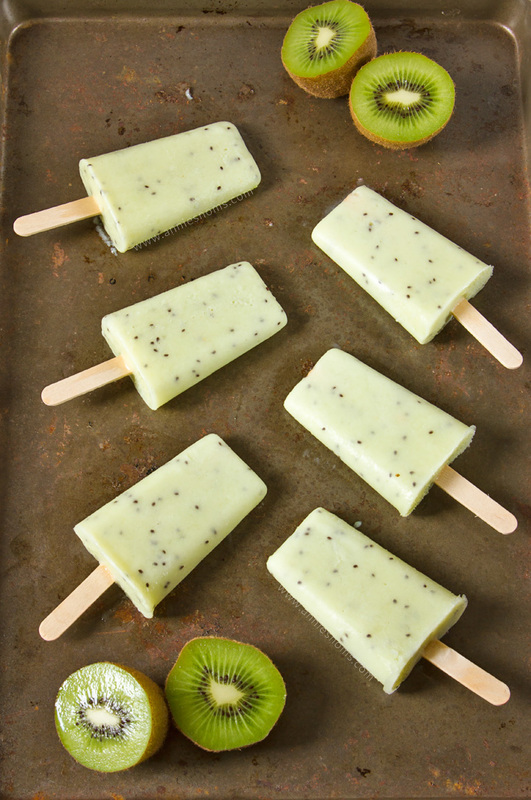 Before I had the idea for these popsicles, I hadn’t had kiwi fruit in agessssssssssssssssss. I really don’t know why because they are lovely! I’m definitely going to be stocking up. 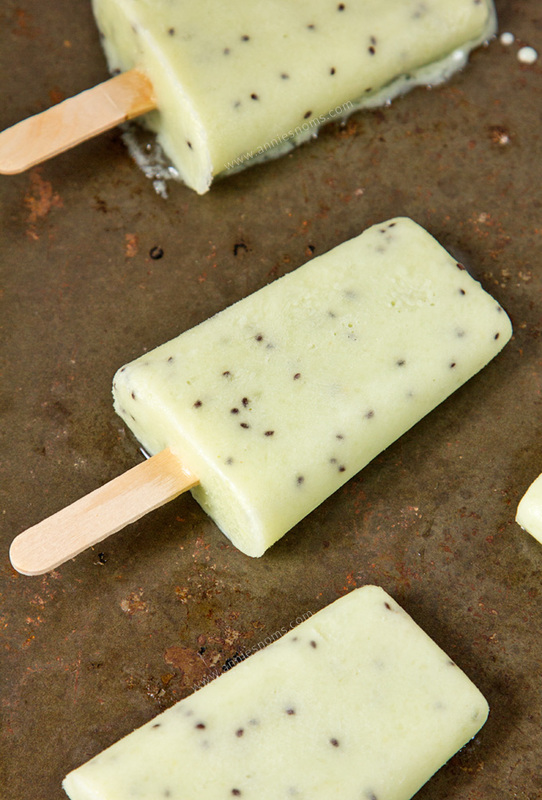 Natural yoghurt has a lovely tang and also adds a lovely, smooth texture to these pops. 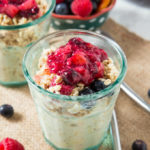 Of course you can use Greek Yoghurt if you prefer, I do love the thickness and velvety texture of Greek, but I prefer the taste of good old plain yoghurt. 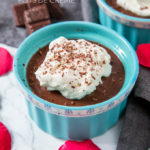 To make these, I put all the ingredients into my food processor and blitzed until smooth and a gorgeous pale green hue. I love the fact the kiwi seeds stay whole, it’s a great contrast to the pale colour of the pops. The next step is to divide the mixture between the holes in your popsicle mold. Pop the top on and place in the freezer. I decided to use wooden lolly sticks this time, but of course you can use the sticks that come with the mold. 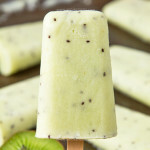 Wait for these babies to freeze and then sit back, relax and enjoy a cold, refreshing, sweet, tangy Kiwi Yoghurt Popsicle. Yeahhhh… they were too good! 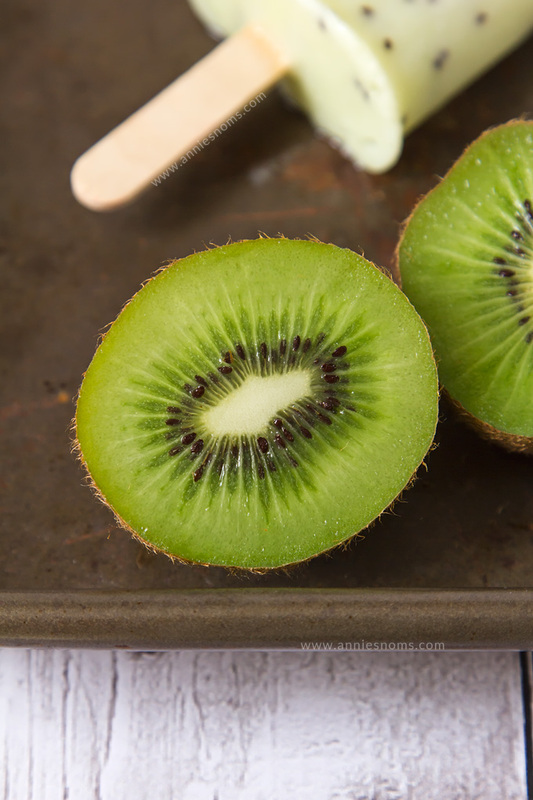 Slice your kiwis in half and then scoop out the flesh with a spoon, place flesh into a food processor. Add in yoghurt, milk and agave nectar and then blitz until smooth, pulse and alternate between slow and fast speed to make sure every last bit of kiwi is pureed! Once you have a pale green, smooth, creamy mixture divide between the holes in your popsicle mold, leave a little room at the top of the holes as the mixture will expand when freezing. Add on the tops or wooden sticks and then place in the freezer until solid, 4-6 hours. To remove popsicles from mold, run under warm water and keep wiggling gently until the popsicle comes free. Popsicles will keep in the freezer for 1 month. 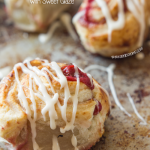 These look perfect for a summer day! Thanks for the recipe! I absolutely love these! I’m going to save for later. I love Kiwi and it makes the best treat for hot summer days like we’ve been having. 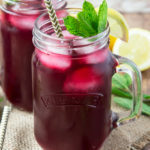 Oh my Annie, these sound so refreshing!!! Id love one or two right now!! Yummy! Will have to try these out this weekend! 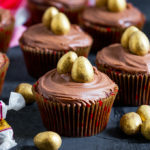 These sound really yummy! I think my kids would love them. Actually, the mini Popsicle size would be perfect for them. 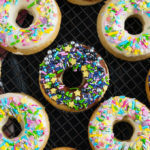 These look delicious and I bet they taste even better! !